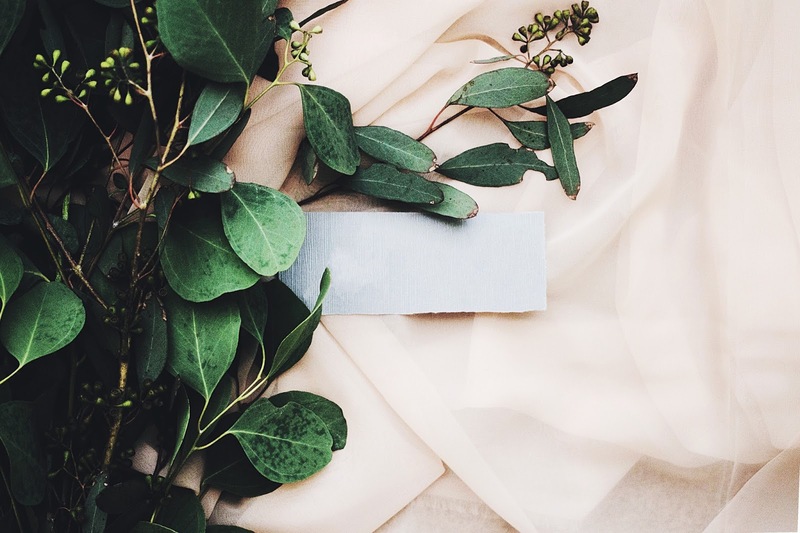 Slow fashion is a growing movement in the world of ethical and sustainable fashion. When I first began researching minimalism, I came across a few posts that explored ethical or sustainable fashion. The concept caught my attention because it is a natural ally of the minimalist fashion movement. Read more on how you can approach minimalist fashion here. Trusted Clothes describes slow fashion as an ethical manufacturing process that puts the welfare of labour and environment at the centre. This means environmentally safe manufacturing processes, fair wages and working conditions for labour and better quality materials. The net positive for buyers is high-quality products and greater value for money in the long run. Of course, the supply chain becomes more expensive leading to higher ticket prices on the end-products. Why is slow fashion important? Let's face it, one of the reasons we shop impulsively is because of the relentless messages of sales and discounts that are bombarding us in the digital and real world. Cheaply produced clothing, shoes and accessories available at unbelievably low prices that create an urgency to grab the best deals at that very moment. We do not stop to think how things can be sold at such throwaway prices in today's day and age of rising inflation. How does a fashionable top cost less than a week's supply of groceries? The answer is because that super stylish top is made of crappy materials and created by workers in sweatshops who are paid way below sustenance wages. Being conscious of these facts can help us make an informed decision that takes several factors into consideration beyond the cuteness of the top and the enticing low price tag. Read here to find out how to decode your personal style. Like I said before, slow fashion intrigued me because it fits so well with a minimalist wardrobe. Buying less affords you the luxury of buying high-quality and in turn, there is a higher return on your investment. When you decide that less is more, space is created for other thoughts and actions in your mind and your wallet. A more conscious consumer is born. If you really think about it, would you rather buy ten dresses that cost a pittance each but become unwearable after a few washes? It would keep you in a vicious cycle of shopping where the effective cost is higher than the low price tag that lured you. Slow fashion focuses on creating high-quality goods that last longer and give you more value for money. Since slow fashion brands are not chasing the next purchase cycle within the short span of a few weeks, they are vested in delivering quality goods almost by default. Have you experienced disappointment when that new pair of shoes or handbag was damaged beyond repair after a few uses? I once had a lovely pair of high heels that essentially broke after a grand total of three uses. High quality ensures that you don't experience that kind of heartbreak. We don't usually think about the people who make the things we buy and use. Especially in case of big-name brands, we assume that the creators were of legal working age and were paid fairly. Recently messages from Turkish workers were found inside Zara clothing that stated 'I made this item you are going to buy, but I didn't get paid for it'. They were employed by a third-party outsourcer that shutdown and owed its former employees salaries and severance pay. It is highly likely that Zara was unaware of the situation. But the messages bring to light the kind of practices employed by factories. Cases of underage workers, sweatshops with horrible working conditions and wages below sustenance are frequent if not rampant among manufacturers trying to meet the fast fashion cycle. Slow fashion creates a positive workforce that is paid and treated fairly across the supply chain. Wouldn't you rather know that the products you love so much were created by happy people who lived healthy lives? The fashion industry is a highly polluting industry due to the huge amounts of toxic waste generated from synthetic fibres and artificial dyes. They also consume large amounts of water in treating synthetics creating a net negative impact on the environment. And what happens to the items they create? Synthetic fibres are not biodegradable and end up in landfills, polluting the earth with no good way to dispose of them. The recent news of hazardous air quality conditions in New Delhi which forced the city to remain shut for several days is only one example, but it forces us to sit up and take note of how our small decisions are impacting the planet and making cities uninhabitable. Slow fashion, makes use of natural fabrics like cotton, silk and jute as well as organic dyes which are biodegradable and non-polluting. The softness of cotton or the luxury of silk or the durability of jute provides class and comfort without destroying the world we live in. 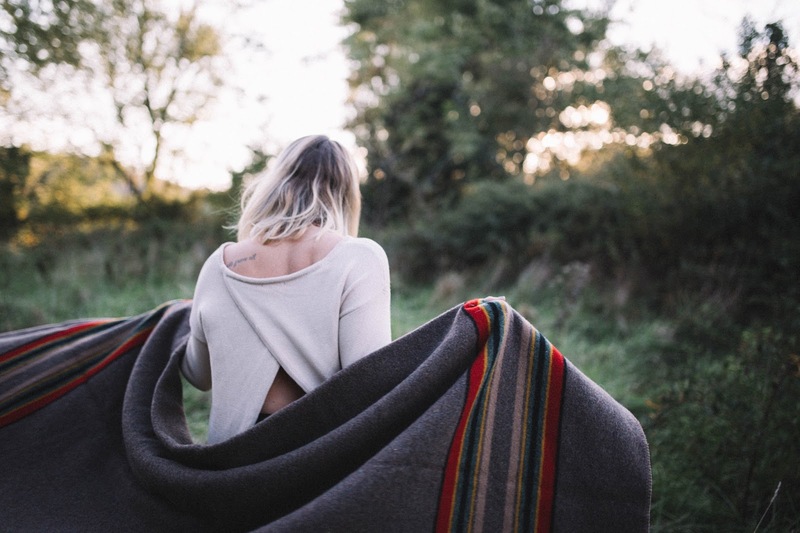 How can you join the slow fashion movement? The first step is to reduce consumption. We can stop buying into the shopping frenzy created by retailers and buy good quality products that last longer. Wear out your clothes, shoes etc. as much as possible. Donate anything that is in a wearable condition that no longer fits your lifestyle or size. Share and swap with siblings and friends. Buy and use vintage clothing. Refashion or upcycle your existing wardrobe to get more out of them. What are the materials they use? 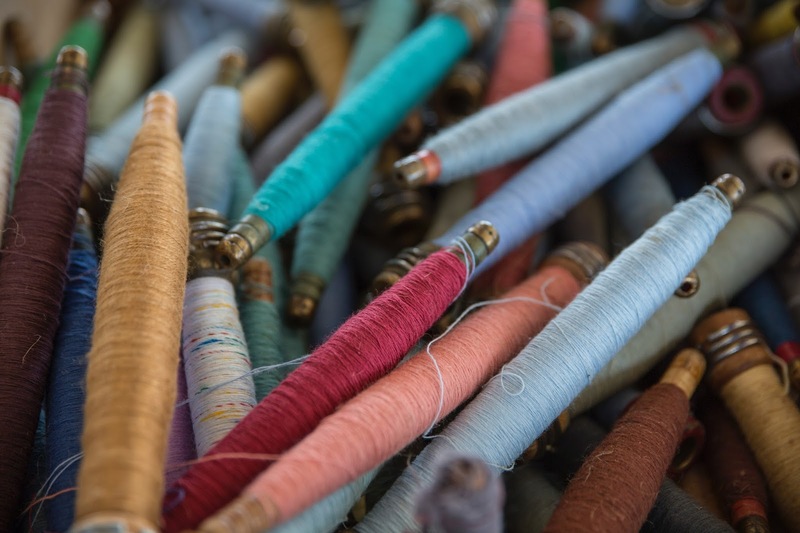 - Synthetic fabrics like polyester and rayon are a sure sign of a non-sustainable model. Do they outsource production? - This can lead to the third-party skimping on fair labour practices. Where are their factories located? - Production in high-risk developing countries could be a sign of unethical worker treatment. What is their cycle of introducing new products? Shorter cycles mean a fast-paced production and you would want to dig deeper. What is the life you get out of the product? If your possessions are becoming unwearable in a short amount of time, chances are that you are a fast fashion victim being compelled to buy frequently. There are quite a few brands that are inherently in the slow fashion zone. We only need to find the ones that suit our fashion and lifestyle needs while reducing our carbon footprint in the world. Another great method is to buy natural fabrics and have them tailored to your liking either by a designer or even the good old dressmaker. This puts you in control of much of the production cycle and gives you personalised wearables that are unique and can't be bought off the rack. And because it is a slower process, you automatically shop less. Whatever your chosen means, being mindful of what we buy and wear will benefit us in the short term and future generations in the long term. 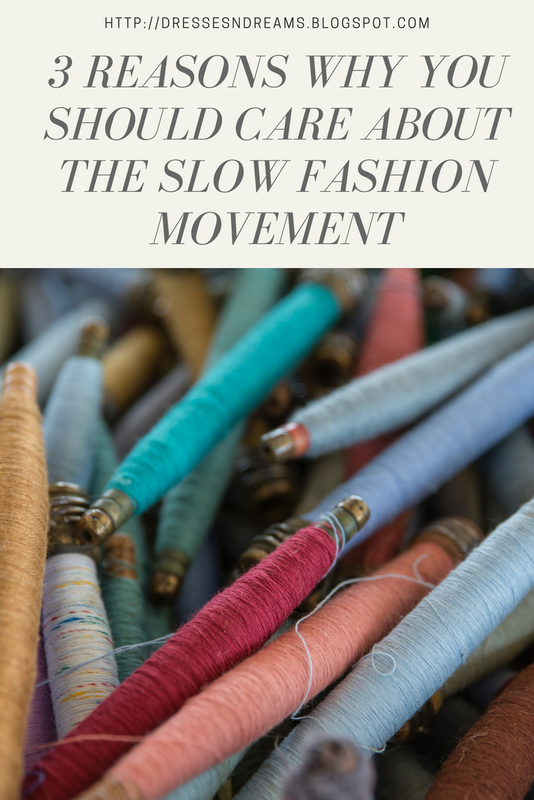 What do you think of the slow fashion movement? Do you see any potential barriers to adopting it into your life? Do you know of any ethical brands that you would like to recommend. Let me know in the comments section below. This post was originally published on 4 December, 2017 on my first blog. I have migrated it here and made some minor updates.